William H. Wardwell (1839-1863) was killed on August 1, 1863 when he fell under the wheels of a heavy siege gun that the men of company H were helping to haul to the top of a very steep hill in the Maryland Heights overlooking Washington, D.C. As reported in the Andover Advertiser, his family’s grief was compounded by the death of Wardwell’s wife Mary, of scrofula (a form of tuberculosis) less than three months before. The couple left an eighteen-month son, William Greene Wardwell, who was cared for in the household of Private Wardwell’s parents Henry and Angeline. 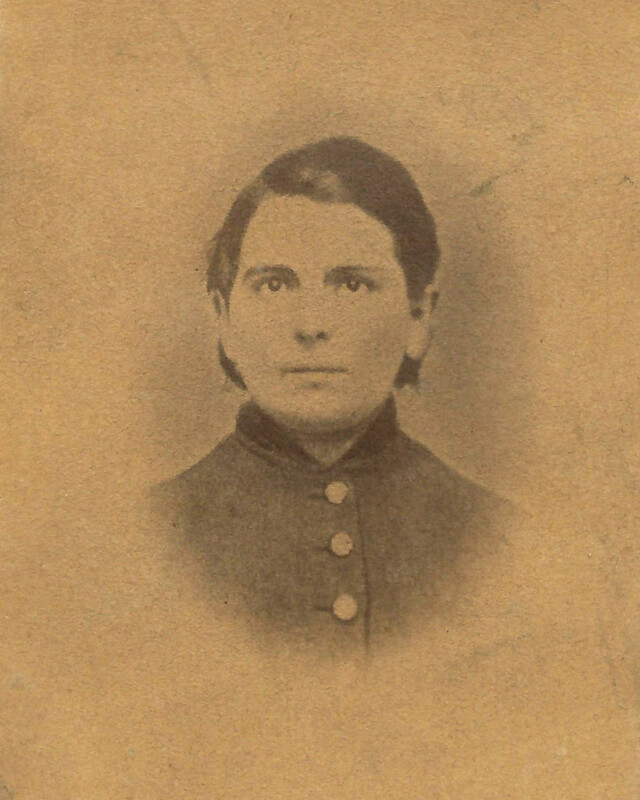 William H. Wardwell’s twenty-two year old sister, Charlotte, was granted guardianship of the child in 1865 and given a federal pension of $8 per month for his care. During the war years, Charlotte carried on a correspondence with David S. Morgan, a member of Company H who acted as a Hospital Steward, and had been the family’s informant of William’s death. In the spring of 1867, Charlotte and Morgan, now a Congregational minister, were married and moved first to Worthington, Massachusetts and later to Wisconsin and Iowa. The guardianship of little William G. Wardwell, then five years old, was transferred shortly after Charlotte’s wedding to E. Francis Holt of Andover’s West Parish, who had lost his brother Jonathan, another member of Co. H, at Spotsylvania.